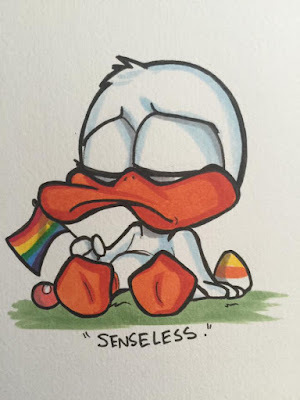 LOCO'S POND: That Horrible Night in Orlando….Rest In Peace Pulse Victims. That Horrible Night in Orlando….Rest In Peace Pulse Victims. First off, Toni the girls and I are all fine. Aside from driving by the club early last night on our way home, we were nowhere near the area. That being said, my heart hurts for everyone affected, and for our country in general. But even more for Orlando. I'm a proud Texan born and raised, but Orlando has embraced me and become my home for over 12 years now. And what happened last night was senseless. Regardless of whether or not it was a Gay club, it was a place full of life and love, happiness and energy. Having grown up in and around the LGBT community, I have been to places like Pulse. Growing up we'd easily go in groups after a theater production and hang out. Not based on our sexuality, but our desire for good music and comradeship and fun. This kind of horrendous act could have happened anywhere at anytime to any one of us. Fueled by anger and hate and ignorance, it shouldn't happen though. It's broken many today and countless more will follow, but it's uplifting to see our community coming together en masses to form a circle and give strength to our city and those who reside in it. Continue to love one another regardless of skin color, sexual preference, political or religious beliefs. And if you're the praying type, fill the heavens with your words for those taken and those left behind to pick up the pieces. If you're reading this, it's because I love you all, and everyone of you mean something special to me. Hugs and love always.